Bobbing in the Lesser Antilles region of the Southern Caribbean is the tiny Isle of Spice, otherwise known as Grenada. 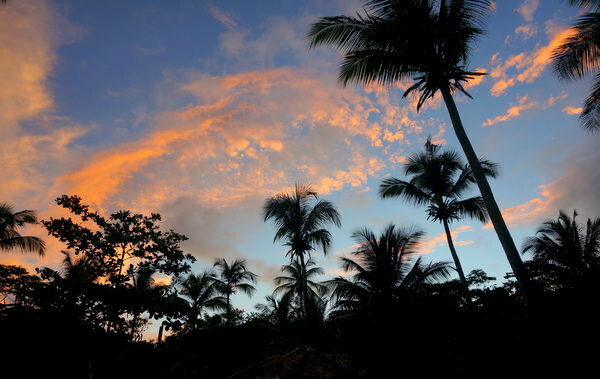 This isn’t your typical Caribbean country: There’s something special here that no other islands in the region have. This island is rugged and real; it’s not putting on a show for anyone. The people here are naturally nice, without having to pretend. The vibe is relaxed and slow-paced, there’s no need to rush. But above all, this island is safe to travel to! 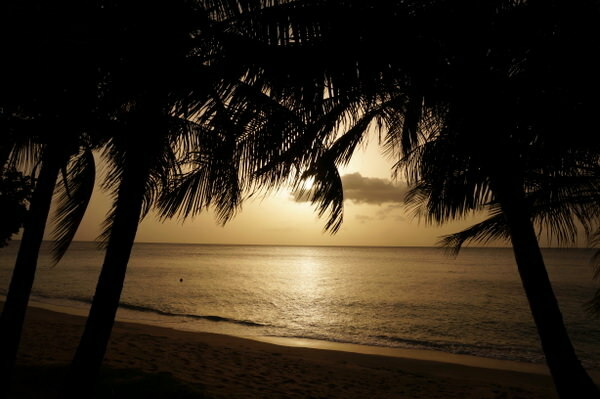 The sunsets in Grenada are magnificent! 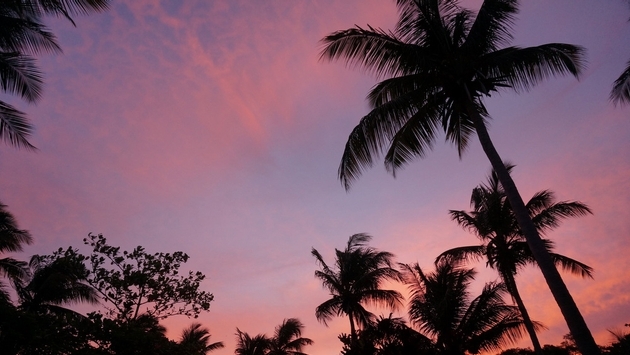 There are many restaurants and beaches where you can enjoy watching the sun dip below the sea. 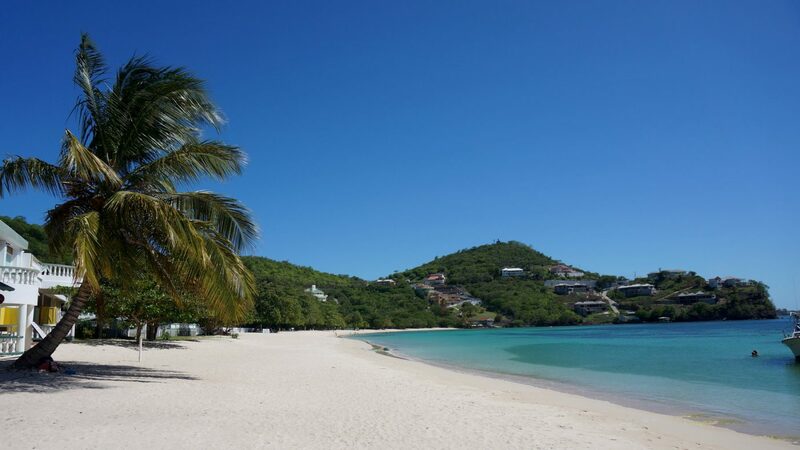 This is the gorgeous Morne Rouge Beach, which is often overlooked by the larger, more popular Grand Anse Beach. This is Grand Anse Beach, a 4 kilometer stretch of pure white sand and turquoise sea. Perfection! 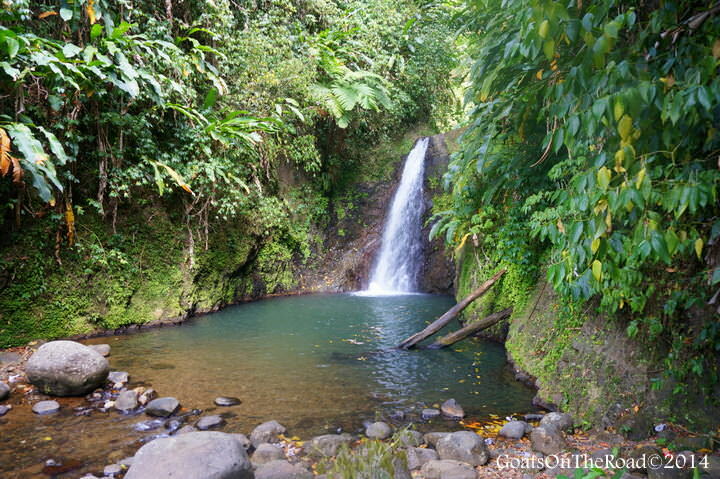 The refreshing Seven Sisters Waterfalls at Grand Etang National Park. 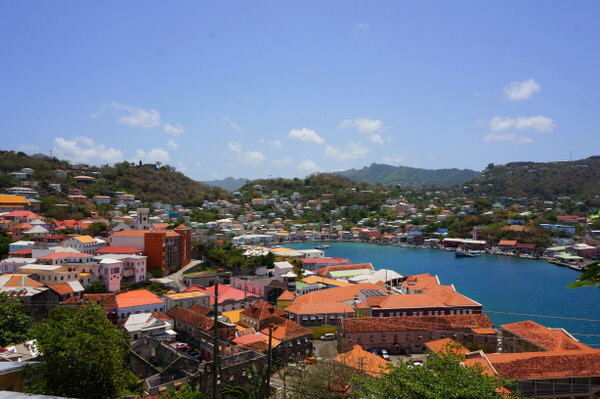 The colorful, capital city of St. George's is a great place for eating, shopping, sightseeing and wandering around. 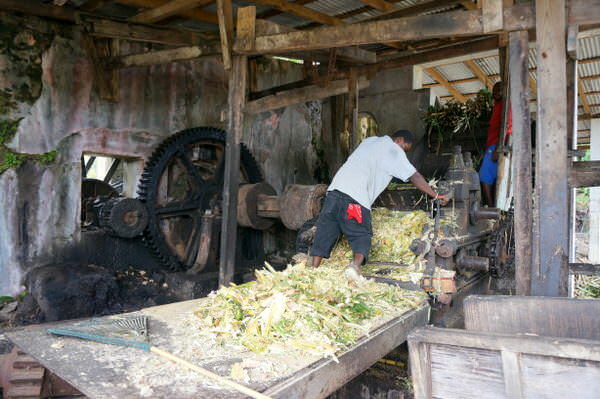 Rum is a big industry on the island, and at Rivers Rum you'll find this distillery which runs all year round, and has been running since 1785! 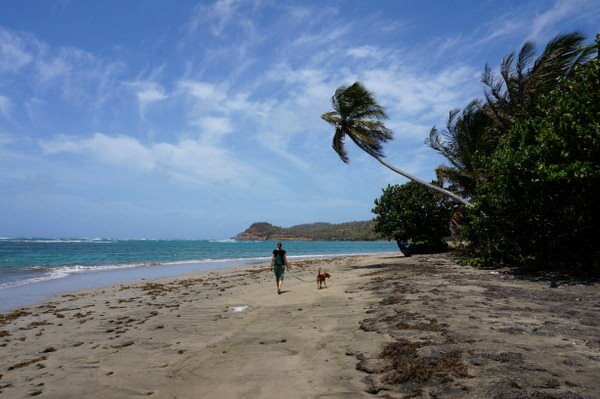 One of the many practically deserted beaches on the northern reaches of the island. Tropical fruits are plentiful in Grenada! 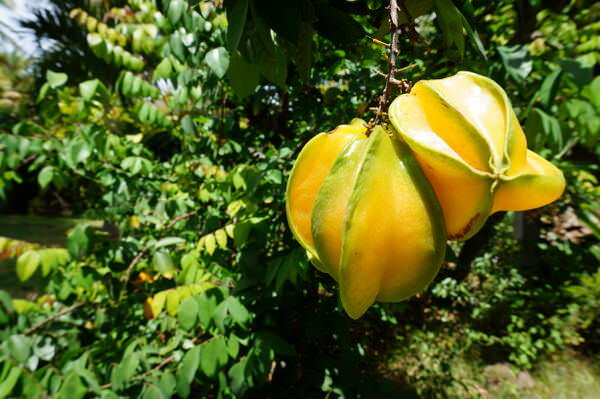 This is star fruit, a must-try with some nutmeg syrup. 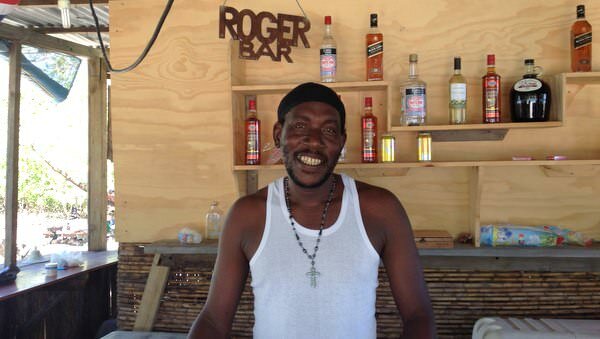 This beach bar is one of the funkiest on the island! That's Roger himself. Sampling a roti while you're in Grenada is a must. 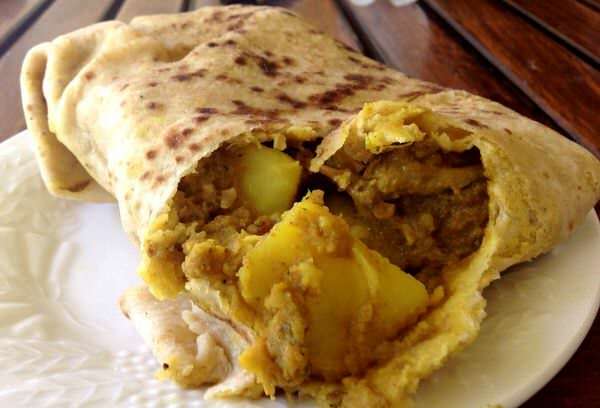 This thick curry with chicken, potatoes and vegetables is wrapped in a dense flour packet and served piping hot. Eat it with your hands. 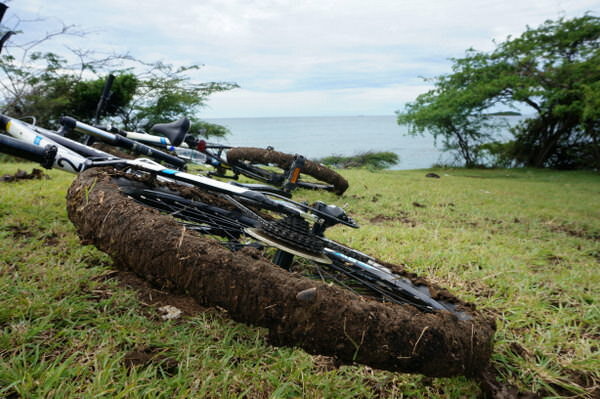 Getting down and dirty while mountain biking. Check out Mocha Spoke for great tours and a lot of fun. The music talent on the island is phenomenal. 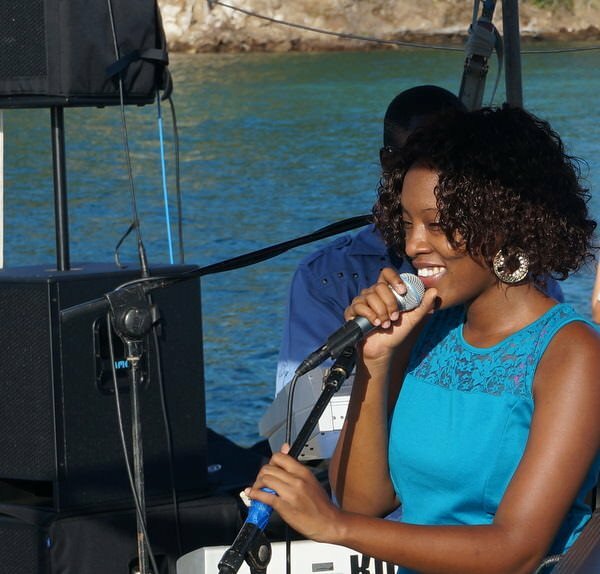 This woman sang her heart out in the blazing heat to a group of enthralled spectators. Grenada isn't exactly known for its diving, but it should be! The underwater world here is stunning. Check out Dive Grenada for your next dive trip. 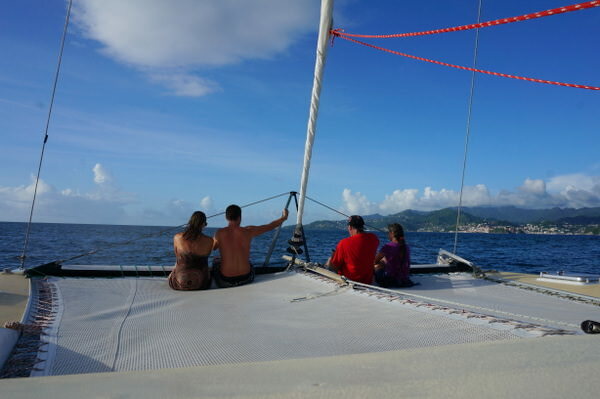 Is there anything more magical than sailing up Grenada's coastline? I don't think so. 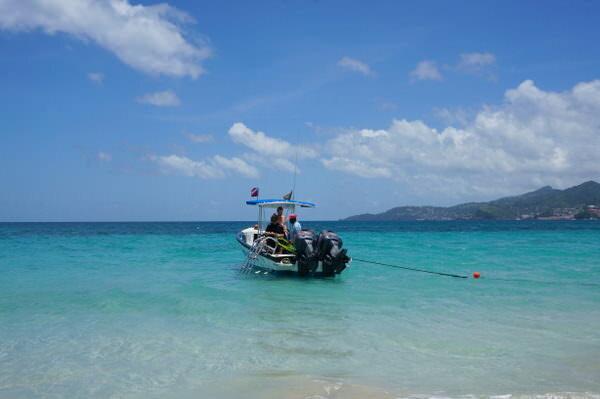 Day tours will take you snorkeling, with stops at various bays and coves for swimming and lunch. Getting out on the water is a must while on the island. Check out Footloose for sailing options. 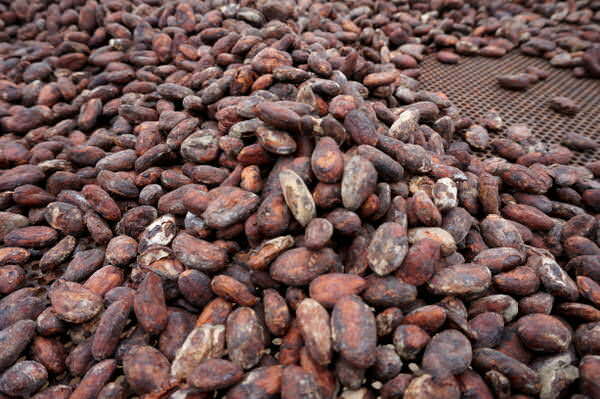 Grenada produces its own chocolate on-island! Check out the Belmont Estate for tours on the whole process from cacao pod to chocolate bar. Carnival season in Grenada is crazy! This festival takes place in July/August. There's just something about a palm tree. 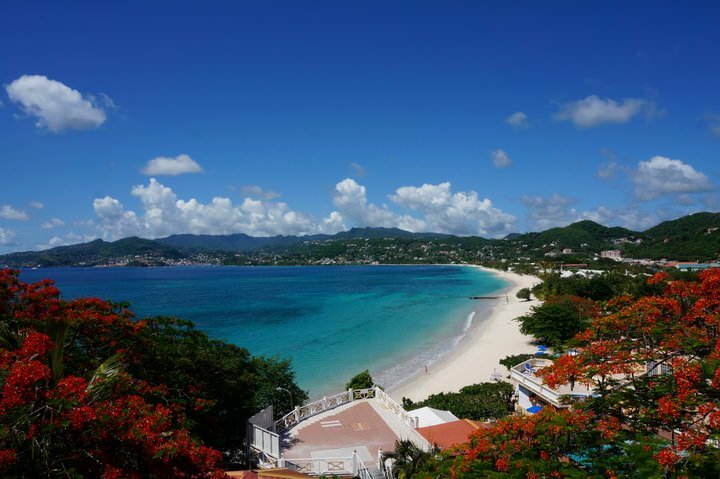 Grenada is the perfect tropical destination. Have you ever been to Grenada? Do these pictures make you want to travel there?! Share with us in the comments.